By Peter Anderson 8 Comments - The content of this website often contains affiliate links and I may be compensated if you buy through those links (at no cost to you!). Learn more about how we make money. Last edited April 20, 2017 . A while back I wrote about the importance to bloggers and other small business people of keeping track of their online income and expenses. Come tax time they're going to need to know how much they've made and how much they've spent on deductible expenses. If you don't keep careful track, you'll have an awful time when tax time rolls around. One way that I organize all of my income and expense data is in a blog income and expenses spreadsheet, which I've made available for download at the linked page. While the spreadsheet works great for keeping track of the income and expenses on a higher level, I still have a lot of data to keep track of, just in case I was to be audited. I don't really have a good system for filing all of the receipts and other tax data other than shoving them in a folder in a filing cabinet. Until now. This past year I've been using Outright.com as a way to keep track of my small businesses income and expense data – in addition to my spreadsheets (Outright.com Review). It works great, and I'll probably be using it even more this year. It's a free product, and it works great for an overall picture of your small business finances. This past week, however, I saw something on the Outright.com homepage talking about a product that they can sync with to keep track of your business data called Shoeboxed.com. 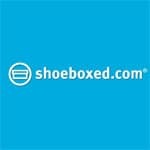 Interested, I talked with the Shoeboxed.com team and they sent me a free trial pack to give their site a try. So today I want to do a quick review of Shoeboxed.com, talk about what they do, and how you can use it as a small business owner. Shoeboxed.com is a site that looks to make your life simpler by taking all of your paper clutter you have lying around the office (receipts, business cards, etc), digitizing it and organizing it in a way that you can easily find everything you need later on. For anyone who has ever had to take hours to find their receipts, and then go through them to enter them into a spreadsheet or other program for tax purposes, this can be extremely helpful. Shoeboxed allows you to archive your receipts, business card and other data for you, categorized and charted for later use. This comes in especially handy at tax time when you're trying to figure out hard numbers for income, expenses, tax credits and so on. Other instances that Shoeboxed may come in handy? They can help with bookkeeping, tax returns, warranty claims, insurance claims, and keeping your contacts in order. I know I personally wish I had used it for a GPS I bought recently – which when it broke I couldn't find a receipt anywhere to make a warranty claim. Next time I'll have it saved! So how does it work, and how does Shoeboxed get all of your data entered? There are a variety of ways you can do it. Send your clutter in a postage paid envelope: When you sign up for certain packages Shoeboxed will send you a pre-paid envelope for you to send your receipts and other business clutter in with. They sent me one, and I saw that each envelope is unique to your account with it's own barcode signature. That means that your information will be correctly categorized to your account. There's no worrying about your data being lost or added to the wrong account. This option works especially well for folks who are extremely busy, or that have large amounts of clutter to categorize. Scan or take pictures of your own receipts and business cards: If you prefer, you can scan in or take photos of your own receipts and business cards, and then upload them through the Shoeboxed site. I think this is probably the option I would use just because it's the most convenient. I did a few receipts using this method for this review. Basically you just upload the graphic of your receipt, categorize it, and it's saved! Use Shoeboxed mobile and Iphone apps to save your receipts: You can download the Iphone apps for saving receipts or business cards, and categorize and save your receipts while you're on the go. When you get back from a business trip you can even generate an expense report to send out for reimbursement. Or use Shoeboxed mobile with your other mobile phone. So as you can see there are a variety of ways to get your data into Shoeboxed, either by sending it in, scanning it yourself at home, or by using their mobile site or Iphone apps. Having Shoeboxed save your data is all well and good, but what good is it if you can't use it in conjunction with other software that you use? Thankfully they have a variety of export options, and work well with a variety of products. 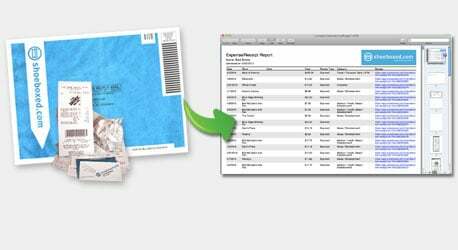 Receipts Integrate easily with Evernote, Freshbooks, Quickbooks, Quicken, Outright: You can transfer your receipts to PDF (with receipt images), Excel, Quickbooks, Freshbooks, Evernote, Quicken, Outright and CSV formats. Very flexible. Business card exports: download your business card contacts to CSV, which you can import to many places, including Outlook, Salesforce, Gmail, Hotmail, Yahoo, Apple Address Book, Act!, LinkedIn, and many other programs and websites that organize contact information. So getting your data out of the system shouldn't be a problem. What does it cost to use Shoeboxed? It can be anything from free if your a DIY kind of person, all the way up to $50/month if you're a heavy business user. What's the difference bewteen the plans? Basically it boils down to the number of scans Shoeboxed will do for you (500/150/50), the turnaround time you can expect on your receipts being entered, and whether or not you have access to mobile apps and dedicated support. The free plan doesn't allow you to send in receipts ( you have to scan all your own), and you only have 5 free credits for the mobile app. So it is limited. The highest plan adds a few more perks besides a higher number of scans including quarterly backup CDs and a dedicated account manager. All paid plans have a free 1 month trial, so it doesn't hurt to give it a try, you can cancel at any time. Business: $49.95/month – or 2 months free with annual plan. Classic: $29.95/month – or 2 months free with annual plan. Lite: $9.95/month – or 2 months free with annual plan. Receipts and cards not returned when mailed in. I'm currently on my free trial of the premium plan, and so far I'm finding it pretty easy to use. I think it will be helpful. Will I continue on a premium plan after my trial? Probably not at this point as my scanning needs aren't as big as some business users, but I think I may end up using the Lite or DIY plan. Thought I’d try it out to digitize some scanned business cards. The free service will email every contact whose card you scanned. Sorry, that’s not for me. Nice service for heavy users though, looks interesting. It seriously does that? Umm.. that’s not good. Well, we’ll add that to the cons list. Thanks a lot for your comments and feedback. I just wanted to clarify one thing: we do not send spam email to your contacts. As a value-add, we share your customizable contact information with your new contacts (you have full power to pick and choose what information is shared with them) and the feature is totally optional with one of our premium plans which start at $9.95, making us the most affordable document digitization service available. If you have any more questions or comments, please email me at atif@team.shoeboxed.com or call me at 888-369-4269. Atif, I did not mean to suggest it was spam, the email looks professional. In my day job I call I some high level execs, and would not want my name attached to any solicitations. As a potential customer who just wants to check the accuracy of the product, I find the email to be an obstacle. Limiting the use to even a few scans would at least let the product show its worth. Hi Joe! I completely understand what you mean by saying that you just want to check out the accuracy of the product as a potential customer. That’s exactly what our free trial is for. 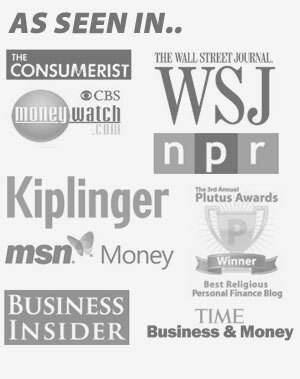 You can sign up through the links in Peter’s article above and try our entire service completely free for a month to decide if you like how things are working out for you. I hope you’ll take the 30 day challenge and let us know what you think. Actually tried this service recently, uploading scanned reciepts was buggy at best first few uploaded fine, however after about the 10th reciept the web page started not saving and i was having to reupload reciept after reciept. After fighting with the website for about 3 hrs to get it to take a handful of reciepts i decided i was better off using my own scanner and storing the reciepts myself. Either this service is very bugged or they intentionally made it work like this to encourage you to send your reciepts to them and pay a fee. Another very noticeable thing, if you do happen to sign up for a subscription there is absolutely no way to cancel it through the web page and you end up having to call them. Only to spend 30 minutes waiting for the 1 guy that they have doing customer support to call you back. Also god forbid that you are 2 hrs into your next months subscription they will want to keep the money that you have sent them. You’ll end up having to dispute the charges on your credit cards to get any satisfaction from these people. If i were to describe this service in a few words i’d have to say it’s nothing more then a “Cash grab”. Hi Jim! I apologize that you had such a negative takeaway experience with our service. We are not aware of any bugs affecting our Uploader tool, but our developers are investigating the issue that you reported. I assure you that we did not intentionally design the Uploader to be buggy or difficult to use. That being said, scanning and uploading your own receipts, no matter what software and scanner you’re using, will always be more tedious than just letting us do it for you. Please note that you do not need to call to cancel your plan. Canceling is as easy as sending an email to help@team.shoeboxed.com. Also, we have multiple members on our Customer Support Team to ensure that our users receive timely and helpful answers to all of their questions, and we will be looking into why it took upwards of 30 minutes for someone to call you back. Shoeboxed is a subscription based service, and we try to make this as clear as possible during the sign up process. We also have our billing policy available for review on our website. If you happen to forget to cancel your account by the next bill date, we are happy to extend a refund to you within a two-day window of that bill date. Again, we apologize for any inconvenience, and appreciate your feedback. Our Development and Customer Support Teams will be looking into the issues that you reported and will take any steps necessary to ensure that they are not repeated. Wow. I am so glad I read this. I was about to try Shoeboxed out. This feature (or value-add) should be turned off by default.